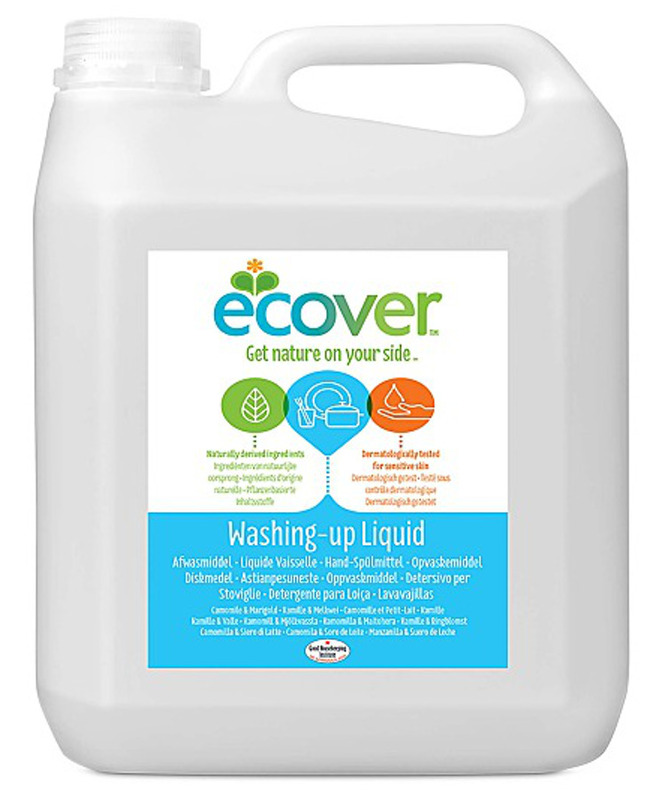 Ecover has dedicated over 20 years of research into the development of products which use the inherent power of natural plant and mineral ingredients to bring you effective, safe washing. Ecover's unique plant based formulations care for your skin whilst ensuring exceptional washing results. Camomile and Clementine Washing Up Liquid is the only product in Ecover’s range which contains a small percentage of animal ingredients, i.e. milk whey. Milk whey is a bi-product of the cheese industry and would otherwise be thrown away. All our other products are suitable for vegans. Ecover add milk whey to its Camomile and Clementine Washing Up Liquid to ensure that it is extra kind to the hands. People who suffer from skin allergies or eczema can use it without putting on gloves. Their Lemon and Aloe Vera Washing Up Liquid is an excellent alternative for those who prefer not to use a product containing milk whey. The Ecover Camomile & Clementine Washing up Liquid - 5L product ethics are indicated below. To learn more about these product ethics and to see related products, follow the links below. Great washing up liquid, lovely fresh smell. Could have done with a bit more lather, but you you canâ€™t expect that with an environmentally friendly product. Have been using this product for years - glad to be able to buy it in a large volume refill to cut down on plastic waste! 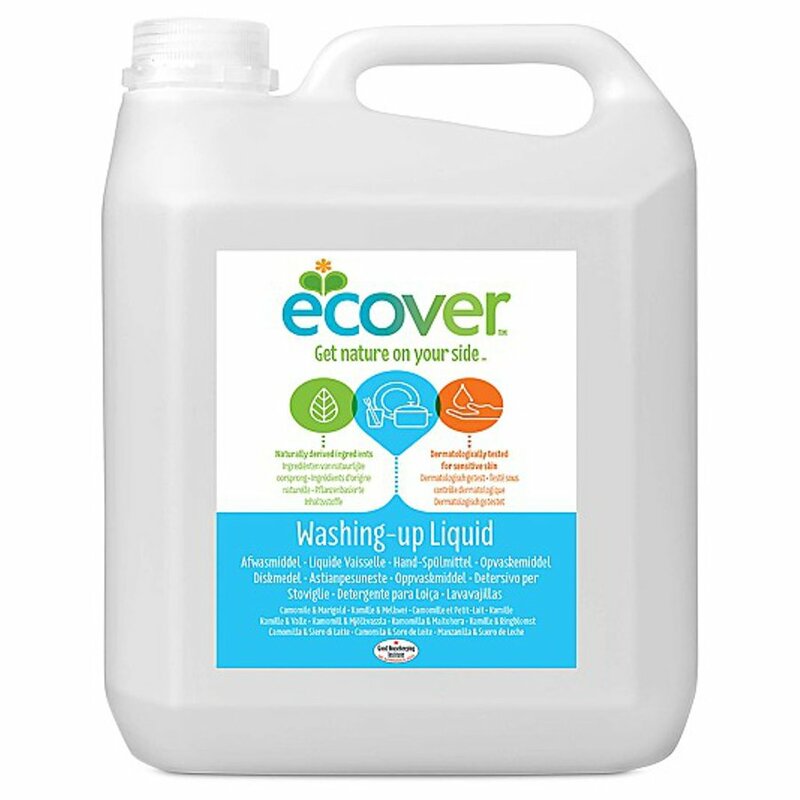 There are currently no questions to display about Ecover Camomile & Clementine Washing up Liquid - 5L.